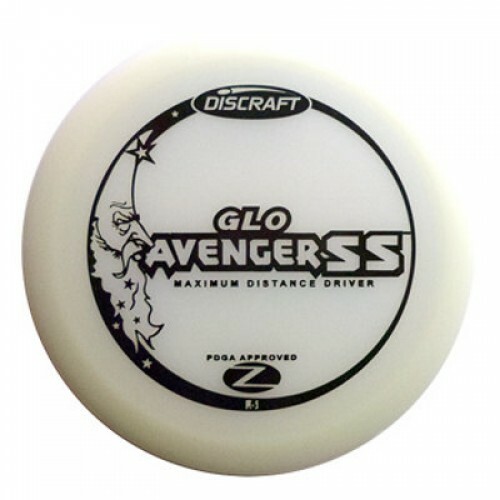 The Discraft Elite Z Glo Avenger SS is a stable maximum distance driver with a stability of 0.5. Discraft took the best aspects of the Avenger, its speed and glide, and flatted the edge. The result is a disc golf driver that flies longer and is easier to control. Throw it hard and flat for a slight fade to the right, then watch the Avenger SS keep on gliding through a smooth, gentle finish. It is a great flat flier for Ams. Pros love it for turnovers. Super bright and super fun for night golf. GLO - Keep your round going after the sun sets with GLO golf discs from Discraft. Simply charge them from virtually any light source and feel the thrill of night golf!